This worksheets it really practice to make a reviwe or a test from the very basc words I apply for the begginers in the first grade and I can know what english level they have. 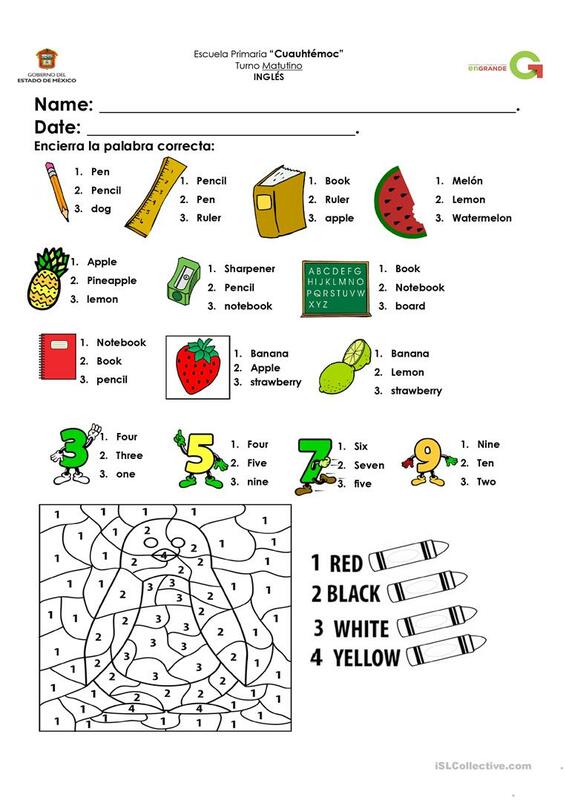 The above downloadable handout is best suited for elementary school students at Beginner (pre-A1) level. It is a useful material for consolidating BE (auxiliary verb) in English, and is excellent for strengthening your class' Reading skills. It centers around the topic and words of Classroom. beklefrank is from/lives in Mexico and has been a member of iSLCollective since 2013-10-15 23:22:56. beklefrank last logged in on 2018-10-17 22:56:00, and has shared 2 resources on iSLCollective so far.